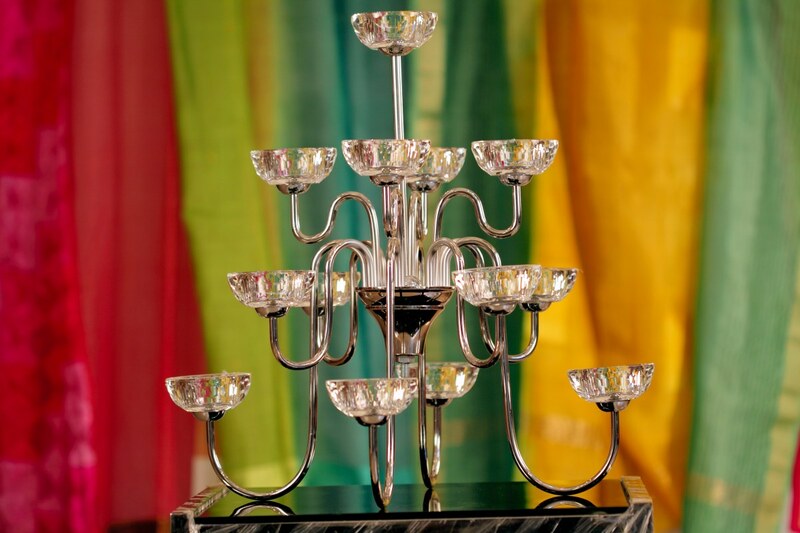 This glamorous crystal candelabra is the perfect feature to adorn any shelf or mantel. With several platforms to hold candles and a sturdy stainless base, this combination of crystal and stainless steel will add warmth and an exaggerated glow to any room in your home. The candelabra at various levels adds a flamboyant feel to the candle stand. Perfect for an intimate ambience for an evening with friends.